The month of November surprised us from many of our Birmingham partners. 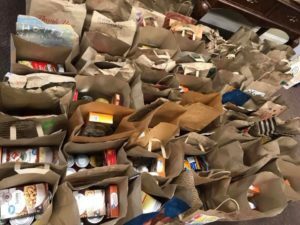 Our Boy Scouts Troop 23 worked another food drive at the Western Supermarket in Vestavia collecting over 150 bags of groceries and raising over $500. We call them “our Boy Scouts” as they have adopted Grace Klein Community and we have adopted them. They are an excellent group of young man who care deeply about Birmingham and are kind and respectful to everyone they meet. We are delighted to watch them grow into men. They have a surprise up their sleeve for us that you will learn about in an upcoming newsletter. If all goes as planned, it will blow our minds!! 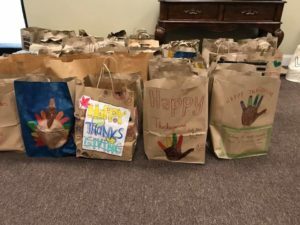 Then, Mighty Oaks Cooperative created Thanksgiving bags for 91 of our food box families. 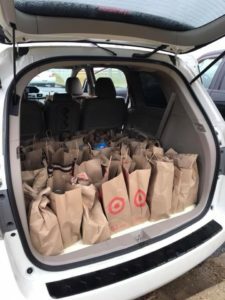 For a small homeschool coop, we were super impressed with their results and grateful they would remember Grace Klein Community families for Thanksgiving. Our friends at Grace, a United Methodist Congregation, have been our secret laundry detergent makers for 2018. 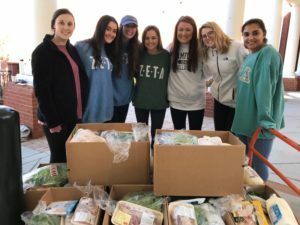 Their kids and youth, and surely some special leaders, have cranked out the laundry detergent that families all over Birmingham have used to keep their clothing clean. 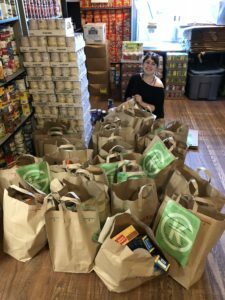 We considered that consistent gesture remarkable AND then they surprised us with a canned food drive they hosted as a church congregation for Grace Klein Community! What love to choose our families to continue to invest in and nurture with such items as green beans, corn and pasta. 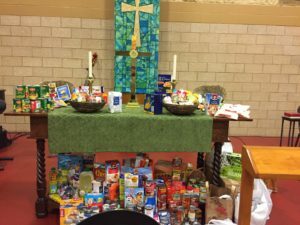 Senior adults from St. Martin in the Pines also gathered non-perishable food items to help stock our shelves. Our Samford University social work intern, Cassidy, works at St Martin in the Pines and she invited them in to be a part of GKC. 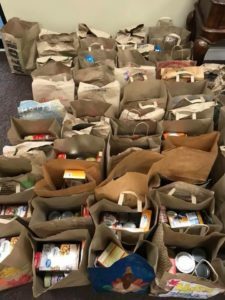 They have also donated overage food and made goodie bags for us to give to families during the 2018 year. Never underestimate what any age person or group can do when they work together for something bigger than themselves. We are all created to make a difference and so many of our partners are choosing to make a difference in Birmingham. We are a diverse community and together we are demonstrating to Birmingham what love does.